Crested Butte Mountain Resort, Okemo Mountain Resort and Mount Sunapee Resort Join the Epic Pass | Vail Resorts, Inc.
BROOMFIELD, Colo., March 14, 2018 /PRNewswire/ -- Vail Resorts, Inc. (NYSE: MTN) announced today that Crested Butte Mountain Resort in Colorado, Okemo Mountain Resort in Vermont and Mount Sunapee Resort in New Hampshire will join the industry-leading Epic Pass in a long-term alliance beginning in the 2018-19 winter season, bringing the total to 64 mountain resorts in 11 states and provinces and eight countries for skiers and snowboarders. Epic, Epic Local and Epic Australia will receive seven days of skiing and snowboarding with no blackout dates at each of the three resorts for a total of 21 days. Epic 7-Day pass holders can use any or all seven of their total days and Epic 4-Day pass holders can use any or all four of their total days of skiing and snowboarding with no blackout dates at the three resorts. "Crested Butte is a perfect complement to the unique family of resorts offered on the 2018-19 Epic Pass with its legendary terrain and historic mountain town. Okemo is known as a great family-friendly resort and together with neighboring Mount Sunapee and Stowe Mountain Resort, provides three great options for skiers and snowboarders in the Northeast. We strive to offer guests the greatest value and variety in their ski and snowboard vacations and are thrilled to now be able to offer access to 64 of the most celebrated resorts around the world," said Kirsten Lynch, chief marketing officer of Vail Resorts. "We are proud to join the Epic Pass in a long-term season pass alliance with Okemo, Mount Sunapee and Crested Butte. Our focus on guest service, reinvestment in our resorts and outstanding ski experiences both in New England and the Rocky Mountains aligns well with the Epic Pass and Vail's remarkable line-up of resorts. We expect this partnership will be a significant benefit to our guests and skiers and riders around the world for years to come," said Tim Mueller, president of Triple Peaks, LLC, owner of Crested Butte, Okemo and Mount Sunapee mountain resorts. Crested Butte is located in southwest Colorado, within the Gunnison National Forest and the Elk Mountain Range and is known for its colorful historic town, iconic mountain peaks and legendary skiing and riding terrain. The resort's 1,547 skiable acres offer something for every skiing ability; over half the mountain is geared to intermediate and beginner skiers while also perfectly suited for the more adventurous skiers and snowboarders with some of the best lift-served extreme terrain in North America. The Town of Crested Butte boasts one of Colorado's largest National Historic Districts and is commonly considered by many to be "Colorado'sLast Great Ski Town" with its variety of boutiques, restaurants and après-ski hot spots. Epic Pass™: Epic Pass holders will receive seven days of skiing or snowboarding at each of Crested Butte, Okemo and Mount Sunapee with no blackout dates, beginning in the 2018-19 season, for a total of 21 days. 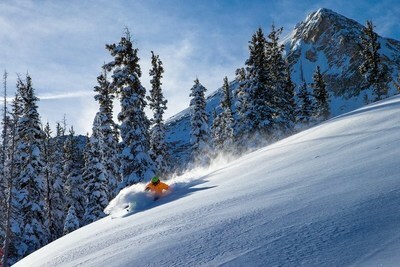 After the seven days have been used at each resort, pass holders will receive 50 percent off lift tickets. The Epic Pass offers full access to Vail, Beaver Creek, Breckenridge, Keystone and Arapahoe Basin in Colorado; Park City in Utah; Heavenly, Northstar and Kirkwood at Lake Tahoe; Stowe Mountain Resort in Vermont; Afton Alps in Minnesota; Mt. Brighton in Michigan; Wilmot Mountain in Wisconsin; Whistler Blackcomb in Canada; and Perisher in Australia, with no blackout dates. The Epic Pass also provides limited access to Telluride in Colorado; Resorts of the Canadian Rockies across Canada; Hakuba Valley in Japan; Les 3 Vallées, Paradiski and Tignes-Val D'Isere in France; 4 Vallées in Switzerland; Arlberg in Austria and Skirama Dolomiti in Italy. Vail Resorts' 2018-19 season passes are on sale now at the lowest guaranteed prices with only $49 down now and the rest due in the fall. Visit www.epicpass.com.